I wanted this game to be good. Really, I did. I’ve played virtually every single cricket game I could ever get my hands on: ICC, Brian Lara, EA’s series – PlayStation, PC and Mega Drive… and every time there’s always been something missing. I compared Brian Lara International Cricket 2007 to an offering of sweet potato – initially satisfying, but liable to cause retching in any quantities. Ashes Cricket 2009, which is effectively the offspring of BLIC, is rather more like school mashed potato: either lacking in any consistency whatsoever, or just full of lumps. It has proven a trial to motivate myself to turn on the PlayStation and subject this latest offering to sufficient play-testing for a thorough review. The word I want to use is “endure”… there always seems something more worthwhile that would be a better use of my time – Fallout 3, for instance – or eighteen-month-old repeats of Mock the Week on Dave. I’ve even contemplated constructing model answers to the pile of specimen scholarship papers from Eton College that currently inhabit one side of my desk, or completing the outstanding set of County Youth Cricket accounts on the other side. I’m going to start with the good parts. The game can at least claim a smattering of reality: there are enough subtle touches in the modelling of the licenced players for the devoted fan to notice care and attention – Stuart Broad’s high, flamboyant backlift and punchy cover drive, Matt Prior’s extravagant offside play and Paul Collingwood’s god-knows-what shovel over mid on, for instance. It is just a shame that the game still looks and sounds like a PS2 – or even PSone – effort, down to the cardboard cut-outs in the crowd, and some of the exact same commentary that I swear has been dragging its heels since “it’s in the air… and safe… and out”. Hawkeye provides an air of authenticity to the presentation, with an array of in-game statistics, and the wide variety of stadia have all been modelled faithfully – right down to the varying straight and square boundaries we find across the globe. 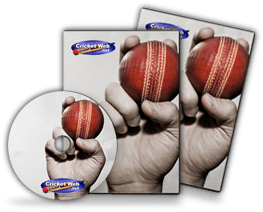 Unfortunately, statistics – something that 99.94% of cricket nuts, the game’s target market, adore – are otherwise conspicuous only by their absence (yes, of course that was intentional, and yes, of course you spotted it). This is not a remotely hard bit of code. Even as a back-bedroom programmer, I’ve managed to shoehorn thorough statistical and record tracking into my freeware efforts without too much difficulty – so I refuse to believe that it is beyond a group of professionals. The web community has gone on about these – and classic matches, and classic players – for years on end, and we still have nothing to show for it. So what is new, then? Well, there’s the licence, but it appears that the biggest side effect of being “official” is that you cannot edit any of the English or Australian squads. If they were even moderately researched, this wouldn’t be a problem. However, Shane Watson James Anderson and Ben Hilfenhaus trundle in at 72mph, the sort of speeds that the quicker members of any self respecting school staff side can muster… and Paul Collingwood is even more sedentary, tripping the light fantastic at a rollicking 57mph. I can bowl at that speed, and I’m a wicketkeeper whose last wicket was an off-break that bowled the batsman via his inside edge, arse, pads and heel. The fact that nonsense like this can get through play-testing defies commentary – and Monty Panesar also bats better than Stuart Broad. Another knock-on of this data is that it renders the bowlers so poor that they actually become difficult to play against. Batting looks and feels exactly the same as it did two years ago – except there are now “back foot” and “front foot” buttons, and you can’t choose the sweep shot any more. This means, in theory, that you have more control of the development of your innings, and where you put the ball. In practice, however, pressing “front foot” doesn’t always do what it should do, and you find yourself screaming at the screen because Andrew Strauss has just been dismissed LBW trying to hook a leg stump half volley. Additionally, I’m fairly sure that Monty will never sweep Brett Lee for anything, let alone a boundary. Of course, I may just be getting my judgement of line and length wrong – it certainly happens in reality often enough – but the game’s display barely helps matters. For some reason a ball that appears to all intents and purposes to be a half volley is treated as “good” by the roving cursor, and a length ball is meat and drink to a test batsman. The result of your strokeplay is clearly intended to be a combination of the shot selection versus the line and length of the delivery, and the timing of your button bashing. The idea is that the correct footwork and shot gives you a bigger timing window. The reality is that the window bears next to no correlation to the shot/delivery combination you’ve just witnessed. Leg stump half volleys should go through square leg. Half trackers outside off should go through point. Full bungers should go anywhere you want them to. Not here. Everything needs to go straight, or else you’re likely to mistime the thing and get caught (unless the computer chooses to deviate from its standard approach of the ring field during any over of any game). If you play through the V unremittingly and automatically, you can rack up runs on the hardest level: until you get bored rigid, try and play a different shot, then get caught, and collapse because you just don’t care enough to get your new batsman’s confidence up. These confidence meters would be a wonderful addition to a firm foundation of gameplay: as it stands, they’re little more than an irritant likely to cause the more inept bowlers to bowl nowhere near where they’re aiming and therefore get you out. This exacerbates the fact that the AI wicketkeepers will catch 90% of balls that go near them, even if you have swept the leather off them, or slashed them head height towards where second slip should be: keeps will just stick out a glove in the sort of time that it takes a mortal to blink an eyelid, and cling on. 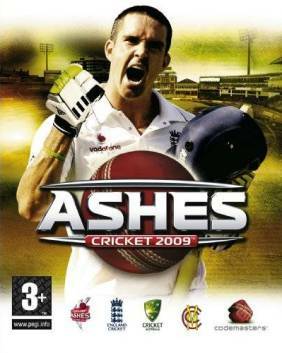 The title “Ashes Cricket” promises something of a reasonable simulation of Test cricket. Things aren’t looking great so far with the bat, but the bounds of believability are stretched even further when you bowl. The computer will generally scratch around, blocking and leaving, for a good deal of time – and then, with no word or warning, decide to hit virtually everything. Fifty-ball fifteens turn into fifteen-ball fifties, and what little sense you clung on to of the first morning at Lord’s swiftly dissipates. There are some nice ideas: such as wearing old balls beginning to reverse beyond a certain point, but one fairy light does not illuminate a Christmas tree. Perhaps the AI simply gets just as bored as you have done: it does at least give a chance to display the new “traffic light” catching system, which is a massive improvement on two years ago. Then there’s the no-balls and the run outs. The AI bowlers’ front feet are worse than Amjad Khan on a bad day: it seems like 10% of deliveries end up overstepping: fifty or so in a day’s cricket. The computer also enters stages of perfect idiocy between the wickets, deciding to start running and turn back just as a throw whizzes in from the outfield… or somehow guiding both batsmen to the same end. There is also the curious phenomenon of right-handers being repeatedly stumped if an off spinner bowls half-track filth to them: trying to swat/hoick it in the general direction of cow, they miss, and end up with the back foot out of the ground. I’d imagine this would happen if a slow left armer bowled at a leftie, too, but I don’t have any inclination to investigate. I’m sure it’s probably perfectly decent as a multiplayer thrash against your mates, but that was the case ten years ago, and has been so for every subsequent incarnation – and I don’t really feel that it’s too much to ask for progress in the space of a decade. Wouldn’t it be worth a shot with a new batting camera angle, for instance, instead of watching from fifteen feet above the umpire’s head as always? Or, at the very least, a single player game that feels like cricket. I didn’t think it were possible, but the process of writing this review has rendered me even more ill-disposed towards the game than I was at its beginning. I mentioned two years ago that BLIC 2007 could only have been released in its condition due to the concurrent World Cup: and two years on, it feels as if the pressure of the Ashes summer truncated the development of this latest title. If any parents out there are considering this as a purchase for their offspring, then do the next generation a favour. Get them a real set of stumps, a bat and a ball instead. 39.84% – This is Ian Bell’s test average, and this is an Ian Bell kind of game: I’m sure some people will find something in it, but I sure as heck don’t.